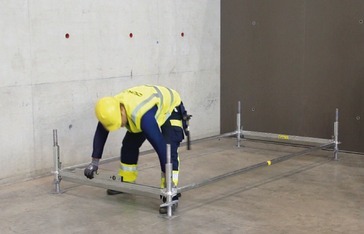 The widened support base of the bracing scaffolding, and the fact that it is braced against the formwork, give it greater safety against tipover. The 'Modul' base collar even allows the basic frame to be set up by just one person. Once the basic construction has been set up and aligned in the horizontal, the 'Modul' standards can be fixed on in the desired total length. Even when the wedge is only loosely inserted, the scaffold node is positively locked. By hammering on the wedge until the hammer rebounds, a rigid, force-transmitting joint is then created. 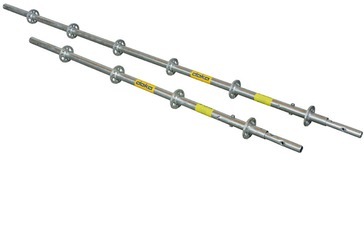 Travel rollers can be used for easy wheeling of the scaffold to its next usage location. The modular system means that stair towers can be configured with the stairway units either in the same or opposite directions. Stair towers assembled from the 'Modul' system conform to Class A of EN 12811-1. 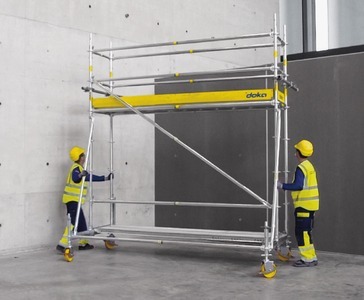 Thank you for your interest - Working scaffold Modul. 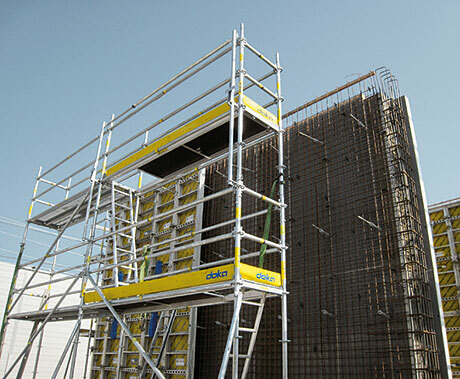 Thank you very much for your interest - Working scaffold Modul.